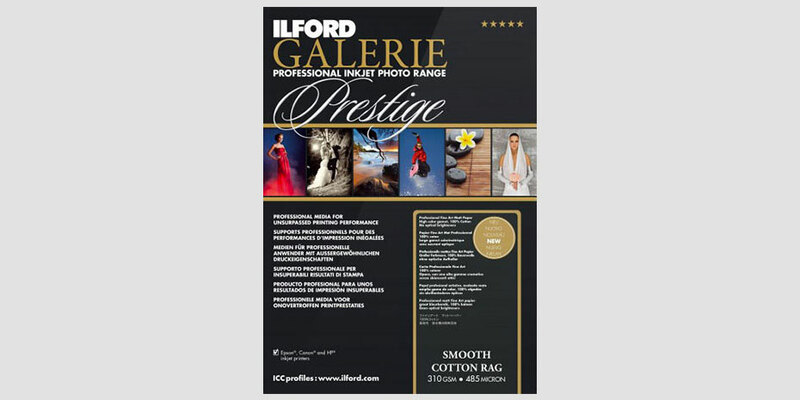 Produce photographic and fine art Giclée prints with the Ilford Galerie range. You've already committed to using a state-of-the-art wide format printer. So why not use the best quality paper for reproducing your stunning graphics and imagery? 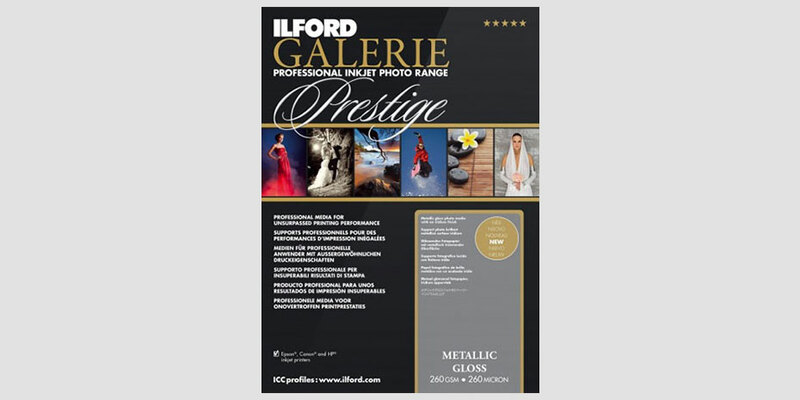 One of our favourite and most trusted brands of photographic paper is Ilford. Producing world-class products more more than 140 years, Ilford has always been at the forefront of innovation. They were one of the early adopters of digital imaging technology for photographic and commercial wide format markets. With unrivalled experience in this industry, the product developers at Ilford have used their knowledge and experience to fine-tune their print media. They continue to raise the bar regarding quality and performance. Ilford gives photographers, marketers and print specialists the power to reproduce stunning imagery vivid colours and stunning detail. One of our most popular ranges we sell is Ilford's market-leading Galerie Prestige Range. Read on to find out more about their range and some of their best-selling products. With over a century of experience in the photography and print industry, it's no wonder Ilford continues to produce high-quality printing supplies. That tradition continues with the Galerie Prestige range. Photographic paper from the prestige range features the very latest in HDR (High Dynamic Range) optically clear coating technology. Coupled with recent advancements in inkjet layering design, it's never been easier to produce images with superb clarity, high sharpness and a stunning colour gamut. Whether you're a professional photographer, photography student, artist or simply a hobbyist, there's photography paper to suit every style. From the Prestige Range, you'll find photo paper that's perfect for achieving the heavyweight look and feel of a traditional photograph. There's also fine art paper that's perfect for large format prints and achieving that gallery prestige finish. With a non-resin and smooth cotton construction, the Prestige range also has print media that's ideal for reprinting artworks such as watercolour paintings. Whatever your aspirations are, however daring your creative vision is, you can recreate it with Ilford's Galerie Prestige range. Check out some of our best-selling products from the Prestige range below. Produce images with superb clarity, high sharpness and an excellent colour gamut with Galerie Smooth Pearl reference media. The combination of a high-density, resin coated heavyweight base and smooth pearl finish helps to eliminate the appearance of glare and fingerprints. 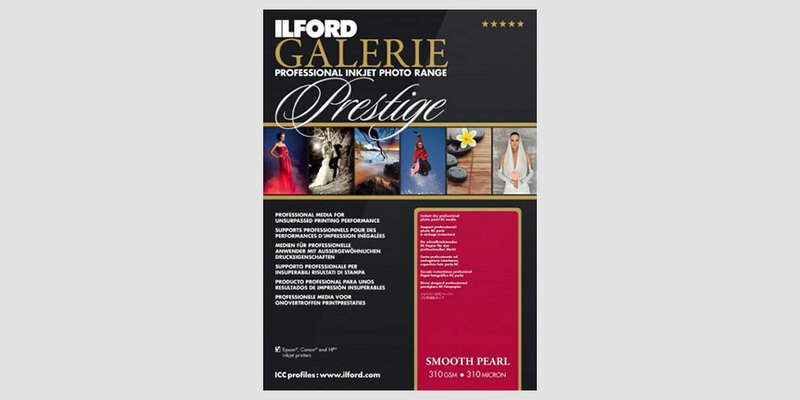 Galerie Prestige Smooth Gloss Paper features an optically clear nanoporous coating. This reference media is perfect for producing images with superb clarity, high sharpness and an excellent colour gamut. Make your images come to life with Galerie Prestige Metallic gloss paper. Its unique iridium finish gives every image a three-dimensional look. At 260gsm, this resin coated paper is suitable for creating display and exhibition prints. Galerie Gold Fibre Gloss paper is capable of delivering high-end photo prints in professional photography, fine art reproduction and exhibition. This design is free of optical brighteners and meets the criteria for durability according to ISO 9706 standards. The Galerie Textured Cotton Rag is a fourdrinier-made rag paper that's designed to meet the needs of professional photographic fine art printers. Its contoured surface makes it perfect for creative expression. This paper is available in sheets and rolls and is compatible with pigment based printers. Reproduce the look and feel of a traditional watercolour with the coarse and structured surface of Galerie Cotton Artists Textured paper. With no optical brighteners, this print media is sure to add an extra dimension to the work of any artisan printer and fine art photographer. 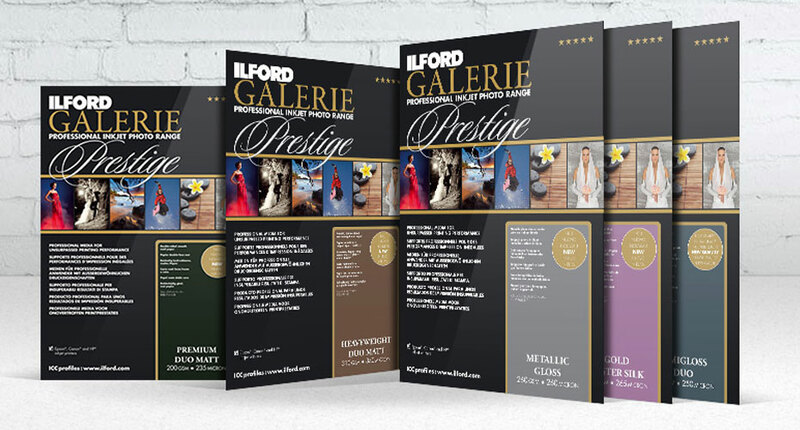 For any questions about print media and the Gallerie Prestige range, get in touch here.